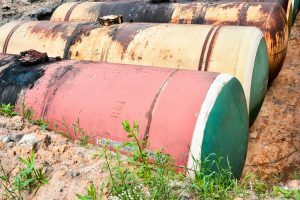 As environmental claims managers and investigators, VERTEX has been involved in claims and reviewed cleanup contractor invoices for various types of HazMat losses throughout the United States and internationally. They have included anything from aboveground/underground storage tank releases, motor vehicle accidents and tractor-trailer roll-overs, residential fuel oil spills, and petrol-chemical facilities, to all the different industries associated with upstream to downstream crude oil production. The contaminant type – When a release or environmental impact is identified and contained, containment may involve mechanical, chemical/biological or physical methods. Here is a link to more information on the various containment types outlined by the EPA. The magnitude of the release – Claims vary depending on the the impacts. Soil, groundwater, air impacts or a variation/combination of these mediums and the magnitude often dictate a specific response. The stakeholders involved – Stakeholders typically involve the property owners, managers, occupants and even the neighbors. There are guidelines that the EPA provides clarification on susceptible population groups. The point at which an expert is involved – An environmental expert’s ability to maximize value to their clients is achieved when they are involved in a loss early on in the claim. However, experts are often asked to assist with the management of claims when remediation has been ongoing or to evaluate costs when cleanup had been completed. No matter the circumstance, an environmental consultant with environmental remediation expertise can expedite the process and efficiently manage environmental releases because of their understanding of industry practices, the industry standard of care, and typical rates. To learn more about VERTEX’s Environmental Claims Consulting services or to speak with an Environmental Claims Expert, call 888.298.5162 or submit an inquiry.